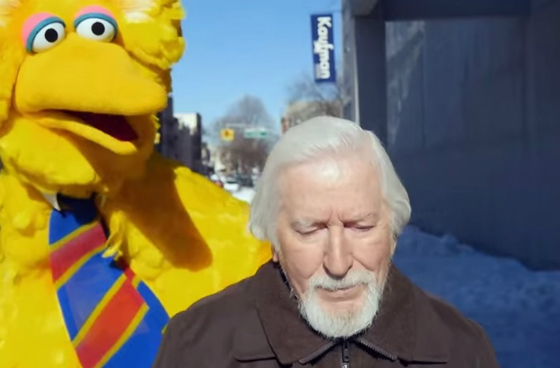 This definitely wasn’t what I was expecting to see today: Sesame Street has put together a cute little video featuring Caroll Spinney, the Birdman. Well, the man inside the bird. Big Bird, that is. Yes, Sesame Street made a Birdman parody, and it’s quite clever, too, playing on all the elements of the film. I’m sure most kids won’t get this joke video, but that’s okay, this isn’t really for them anyway. It’s just a smart way for Sesame Street to stay in the spotlight during Oscars season. (By the time you’re reading this, maybe Birdman has won something?) Check out the video embedded below!